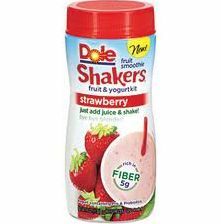 Home > Printable Coupons > Dole Fruit Smoothie Shakers Coupon = FREE at Target! Dole Fruit Smoothie Shakers Coupon = FREE at Target! I don’t think you can get overage at Target, but at least it will be FREE!